The mission of Lovely Feet Ministries is simple: Make disciples who then make more disciples. It is first and foremost dedicated to the Great Commission but recognizes that the gospel is not preached by word alone, but also by deed. Therefore, the ministry walks out the Great Commission through many steps with many partners. It has a medical mission arm, a partner rescuing women trapped in prostitution, a branch that feeds the poor, and other ministries of benevolence and social justice. The first steps of this ministry were taken in July of 2008 upon Ron and Rhonda’s first visit to Bolivia. Shortly thereafter Lovely Feet Ministries was born in September of 2008 with its incorporation in Tennessee. 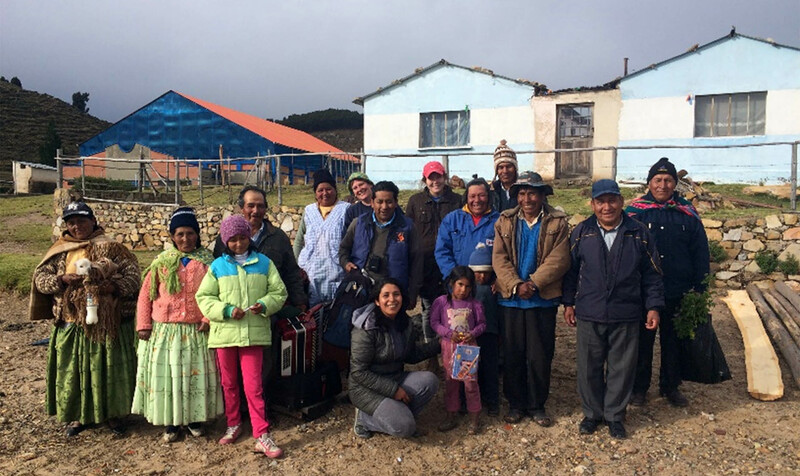 One year later, LFM planted its first church, Rey de Reyes, in the city of La Paz, Bolivia. The ministry of making disciples is more than simply asking to bow in prayer for a conversion, it involves teaching and training as well. Therefore, Lovely Feet is also providing training for future leaders and for those new to following the faith. The hope is to soon build a Bible Institute to train and empower the nationals to take the gospel to their own people. (Read more about the plan under The Vision). While this ministry began in Bolivia we have hopes of expanding to other parts of the world and other peoples in the world as God leads. However, the ministry does not exist in a vacuum nor is it meant to for Paul wrote that we are all parts of the body. We need each other, and Lovely Feet Ministries needs you. Please prayerfully consider partnering with us to reach the Bolivian people for Christ. Join us and enter your email address on the Update Your Info page and please give by clicking on the Donate button. For the body does not consist of one member but of many. – 1 Corinthians 12:26, 27.